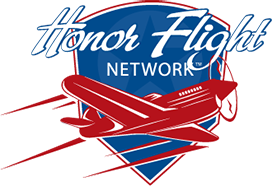 The drawing for the 6th Annual Ticket Raffle for Honor Flight Philadelphia was held at American Legion Manoa Post 667 in Havertown, PA on Sunday, December 10, 2017. World War II veteran Bob Davis was on hand to draw the winning ticket. And the winner is… Jonathan M-S. from Lansdale, PA. Congratulations, Jonathan! You have won 4 tickets to the Dallas Cowboys vs. Philadelphia Eagles game on Sunday, December 31, 2017 at Lincoln Financial Field. The prize includes V.I.P. parking, pre-game sideline passes and more. Thank you to everyone who purchased tickets for our 6th annual ticket raffle, it truly was a great success. Through your generosity and support we will continue our mission of bringing our veterans to Washington D.C. for a day of honor and recognition.